More and more international brands are becoming concerned with the existence of a true social media engagement when working with Chinese KOL and Influencers. Many communication agencies and marketing experts suggest choosing a more reliable KPI for their client’s campaigns, such as sales. But what do you do when you aim at recognisability and not conversion? Can you really trust the influencers’ profiles? How do you pick out the real accounts from the fake ones and how much should you pay for one engaged person? 1. Does more followers equal higher price per social media engagement? 2. Is it normal when a KOL’s follower base doubles in 1/2/3 months? 3. How long does the fame of an influencer last? 4. Zombie fans – do KOLs buy them every day? Influencer marketing has become one of the most popular ways to engage with audiences, and is now a hot key word worldwide, and here’s why: a true influencer is a content creator, copywriter, designer and a consumer behaviour expert – all in one! But how do you find one in a market full of fraud and fakery? Whether it’s down to practicality, lack of patience, or just pure greed, Influencers are often lured into the world of fake followers, despite it being considered cheating to monetise a fake follower base. Over the past three years, HI-COM has searched, studied and followed trustworthy and reliable KOL profiles. We were tracking Influencers whose names were mentioned in social media awards, profiles who do not accept cash payments and do not monetise their popularity, as well as very dedicated influencers who have been cooperating with big names for several years, as these types of KOL profiles have logical follower base growth and logical engagement volumes. We also followed studied a few suspicious accounts that have obvious or even very smart but commercial growth of the follower base and engagement. And finally we interviewed influencers in China, both real and ‘wanna-be-real’. 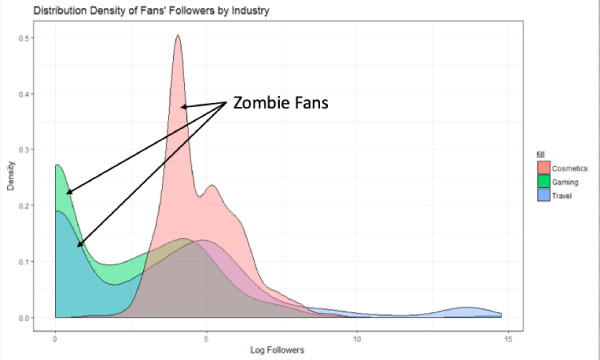 Not so long ago, the trend of ‘zombie’ fans – or buying fake followers – was at its highest. But influencers who have genuinely been in the business for a long time quickly came to understand that the credibility of your account goes down, reliability decreases, and companies like Weibo or Alibaba would have their fake history on a record and would think twice about handing these influencers awards. Although the zombie era has peaked and now seems to be coming to an end, there are still a few influence markets that have not reached the expected maturity. 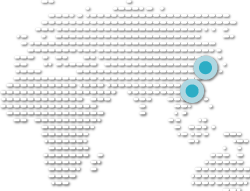 Mature influencer markets in China include cosmetics, fashion, travel, and sport. Relatively new and under developed influence markets are finance, technology, and b2b. By using specially developed software we were able to collect account growth, engagement, and other data from the social media platforms of our chosen influencers. We tested our collected database and compared the data from influencers in different industries, and different follower behaviours. We also compared various prices per post and more, in hope of learning more about the relationship between cost and social media engagement of a real follower. In this experiment we considered engagement volume the amount of all likes, shares and comments for a given period of time. Average engagement volume: a sum of engagement (likes, shares and comments) divided by X number of posts in a given time (in the last month, 3 months, year). 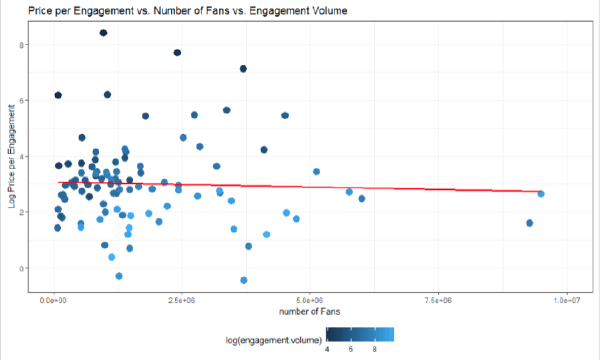 Average engagement rate: average engagement volume divided by number of fans. One of the possible indicators that can show us that an account is fake is if its engagement rate is 0.0001 or less (whether it’s because the account is buying fake fans, or is just losing popularity, the engagement is too low to invest into the account). 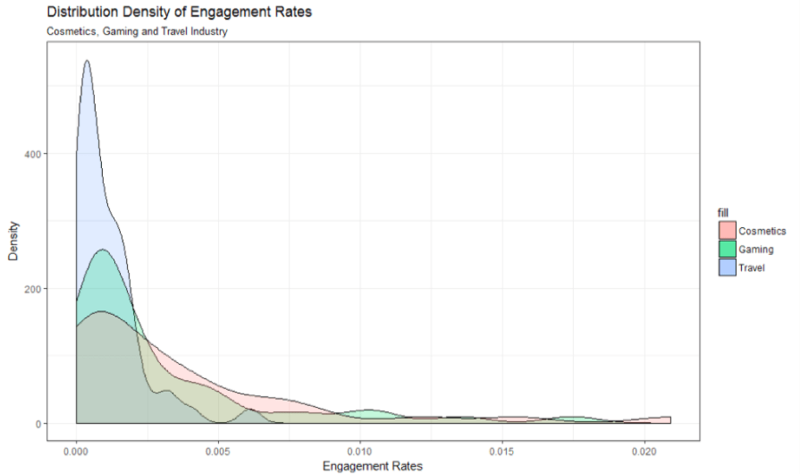 Cost per engagement: price of writing post divided by average engagement volume. Once all necessary data have been collected/computed, all data from different industries are combined into an integral and standardised database. By comparing the data from three different industries, we can measure the Engagement Rates Distribution Density within the influencer profiles in those industries. In our example below, we ran the profiles in the cosmetics, gaming and travel industries. Takeaway: distribution of engagement rate varies between industries in terms of standard deviation. The darker the colour the higher the engagement, so the more it costs. Engagement volume is the better indicator of the price level, as in the opposite of an amount of followers. Under the line is the accounts that have more followers but not a higher price. Takeaway: greater engagement volume is likely to lead to lower price per unit engagement. This diagram illustrates normal growth of a KOL’s Weibo followers, showing the engagement over the years. Every post presents a number of follower engagements at that time, the size of the dot represents the number of shares, and the colour represents the number of likes. As the graph shows, there is an unavoidable decrease – as all good things come to an end. 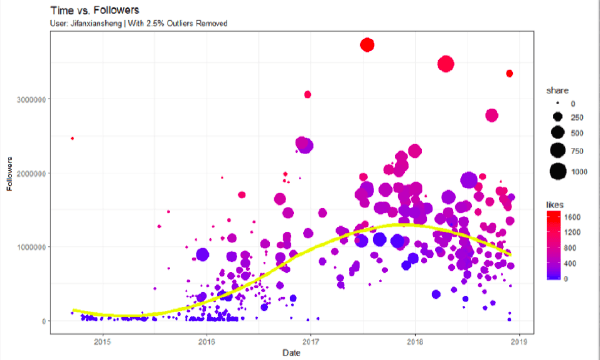 Another notable fact illustrated on this diagram, is that when it started picking up (as the account grew), the dots changed colour from blue to purple, and also jumped around at the beginning of 2016. This indicates that normal growth will show that the engagement behaviour suddenly increased, and the follower base grew gradually after that. Takeaway: A healthy growth of a KOL account should show a gradual increase in followers along with a similar increase in likes and shares. 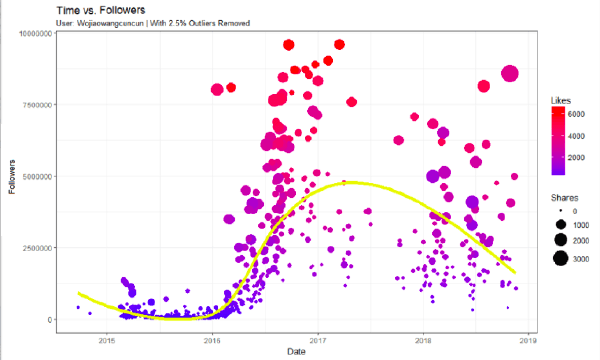 This diagram shows the behavior of a KOL’s follower base in a given time frame. The influencer was changing his editorial style at the end of 2017, after noticing a lower engagement a little past his peak of fame. In order to stay more relevant, the influencer started to post a new type of content (video), which brought some interest back. But the general trend of the fame of influencer is downward. Takeaway: An average KOL account will see their number of followers and engagement decrease as the Influencer “grows older”. Unfortunately, fame on these platforms is often gone just as quickly as it appears. In our next analysis we took a look at the three big industries and analysed the follower background of a given KOL. Basically, we took a look at the number of followers that KOL followers have. Obviously, if a follower of an account has no followers of his own – it might be a zombie fan. We also took into account other popular ways to determine zombie fans available out there. What we found is: Distribution of follower fans for all industries are bimodal in shape (there are two peaks). Our highest suspicion is that the first peak represents an account’s zombie fans. Takeaway: follower inflation is common in the most popular industries, and the structure varies between industries. Most KOLs in China have zombie fans. After going though all this information, one questions still stands: how much shall I pay for 1 engagement on Chinese social media platforms? 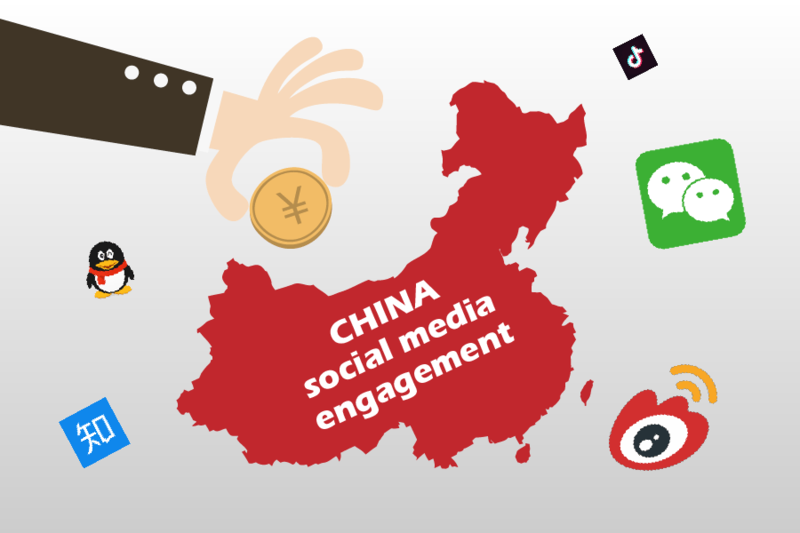 The cost of engagement in China, of course, will vary in different industries. As we mentioned before, some industries are less developed, some have high competition, and the whole influencer picture is not stabilised yet. But taking the example in the table below, we can see how influencers in the gaming industry in China calculate a price for its influencer work. This table has been created from the actual data of Weibo influencers, from their price lists as of late 2018 (keeping in mind that Weibo is not the best platform when looking for gaming influencers). We have selected 6 profiles out of 100, disregarding all suspicious accounts, and taking influencers from different price ranges. According to the profile examined and the prices provided, what you see is the most expensive KOL purely based on the amount of followers, and not on average engagement, nor cost per engagement. Of course, we always think that our campaign with this KOL will be at least as successful as his highest engagement campaign yet (the one he includes in his profile), but the truth is, advertising campaigns on average perform worse than the average content of an influencer. Take the average social media engagement of a KOL, decrease that figure by 10-20% and then you will have your future campaign results. Also please note that if you run your campaign with Influencers similar to Influencer 04, you will pay the same amount per engagement – but cover a few accounts – possibly a different demographic, more locations, etc. Also note how Influencer 02 represents the best deal. With by far the highest engagement volume, this account gives a very down-to-earth price, while covering 2.5 million followers. Running two campaigns with this Influencer (or two influencers like this) will cost you less money, will most likely engage more people, and will bring more coverage (two influencers with similar account profiles and prices). The takeaways of this table are: Accounts with more followers do not represent higher social media engagement volume of the followers. The best choice of KOL (of a given profile) does not solely depend on the price of a post. The best way to calculate ROI from your campaign is to know in advance how much it will cost (at least more or less) to engage one person with it. For more information about cost per engagement, Chinese KOL profiles in different industries and other Influencer marketing related questions please contact us directly! We would love to provide you information to help with your campaign.